Charms inside locket are for representation only. Locket holds 2-5 floating charms depending on the size. 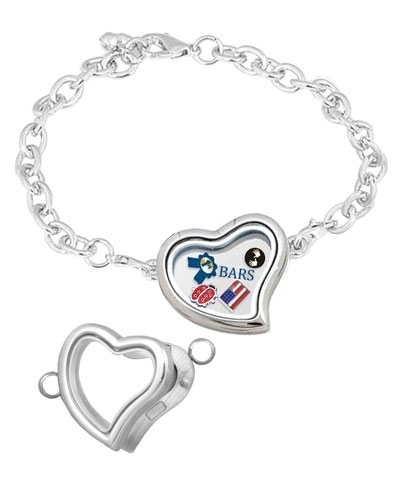 Floating Heart Silver Locket Bracelet. Let this lovely locket bracelet hold your tiny floating charms to bring good luck or celebrate events. Tiny magnets hold your locket closed.